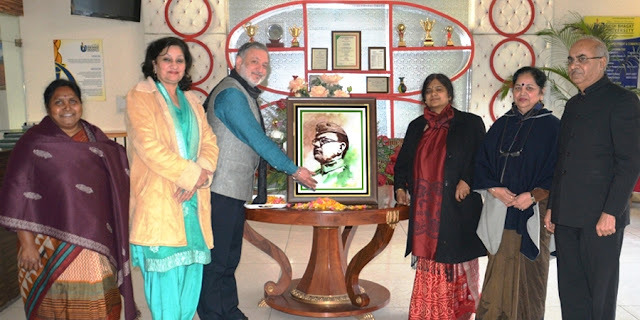 The 118th birth anniversary of great freedom fighter, Neta Ji Subhash Chander Bose was celebrated with zeal and fervour at Desh Bhagat University. A special function was organized on this occasion. Staff and students from different faculties participated in the celebration with full enthusiasm. The occasion was started with lighting the candles and paying floral tributes to Neta JI Subhash Chander Bose. While speaking on the occasion, Dr. Zora Singh urged the students to learn from Neta Ji’s life who fought for the freedom of the country till his last breath. He also highlighted various aspects of the great leader’s life who was the founder of Indian National Army (INA) and started armed struggle to free his motherland from British rule. 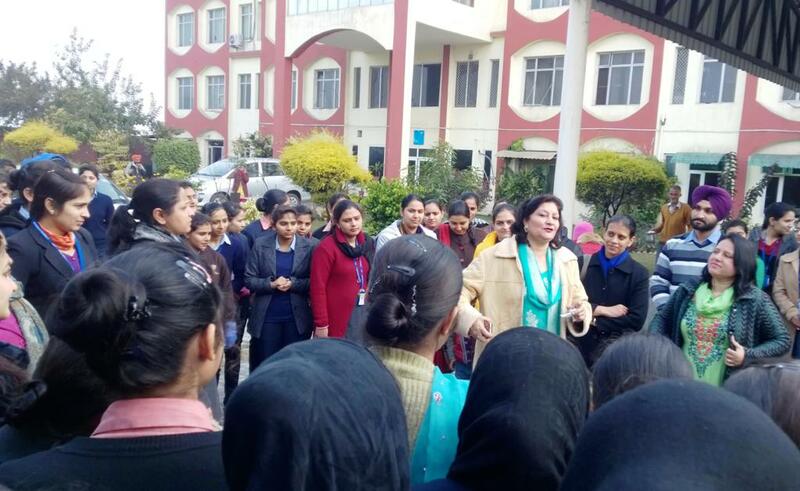 A cleanliness drive was also organised in the university by Bhai Kanhaiya Ji NSS department, which was inaugurated by university Pro-Chancellor, Ms. Tajinder Kaur. While addressing the students, she said, “Neta Ji’s life was a story of sacrifice and it is very close to the hearts of the people. Desh Bhagat University celebrated the anniversary to inculcate patriotism, dedication, sincerity & love for our motherland amongst the students.” She also urged the all present to make cleanliness a way of their life and also educate others about it. Volunteers and students from different classes participated in this drive and made the campus clean within an hour. The students participated in the drive with exemplary enthusiasm. 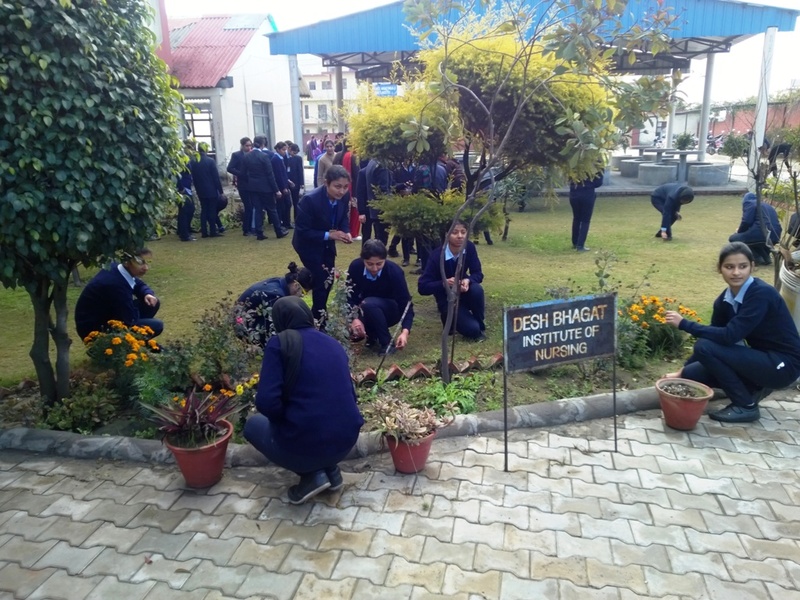 They also took a pledge to keep their surroundings neat and clean. Vice Chancellor Dr. Shalini Gupta and Pro Vice-Chancellor Dr. Shantnu Chatterjee expressed that Subhash Chander Bose is remembered for his salutation and slogan of ‘Jai Hind’. His famous words ‘Give me blood, I will give you freedom’ encouraged the freedom fighters. Students were also shown a half an hour documentary film on Neta Ji Subhash Chander Boss during this function.